Welcome to our complete guide to rat cage size! 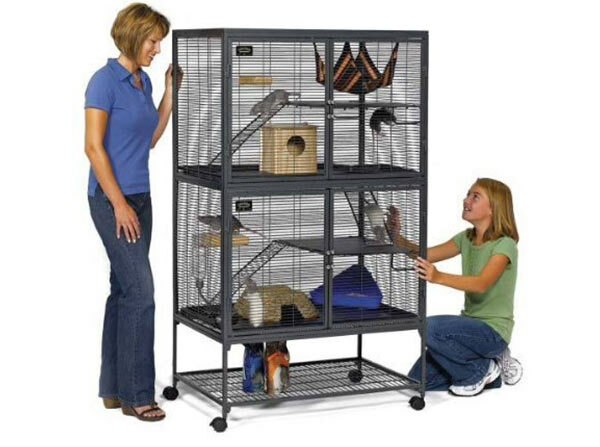 Helping you select the right new indoor rat cage house for your furry new pet. So let’s find out – how big should a rat cage be? If you are thinking about adding a new pet rat to your home life, you must be excited! 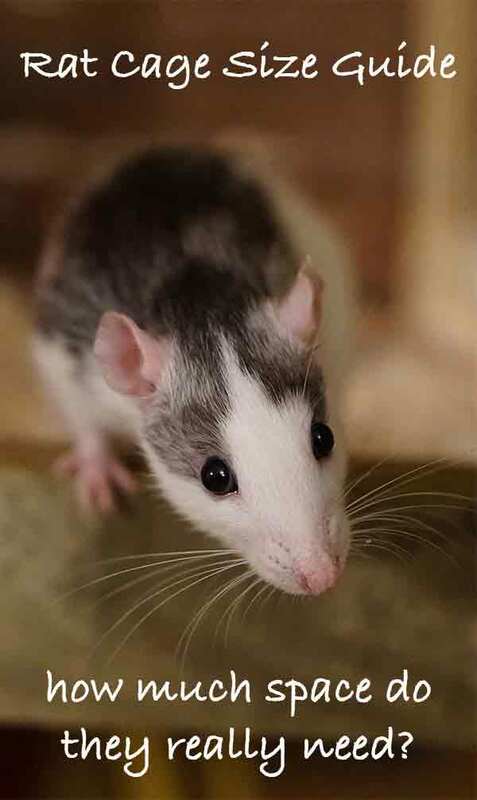 Rats are highly intelligent and love to socialize with their owners and other rats. And despite the popular belief that they are dirty animals, rats are actually quite clean. With that in mind, pet rats require safe and proper housing. 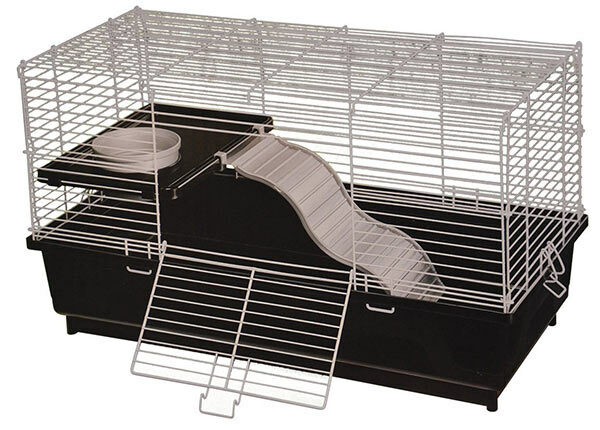 Rat cages are typically the most expensive item you will need to purchase for your new pet. We will explore what type and size of rat cage is ideal for your pet. Let’s read on. We’re going to take a look at some of the best indoor rat cages in a moment. But for now, here’s a quick summary. Now let us take a look at why each cage is the best size for your rat(s). So, how big should a rat cage be? 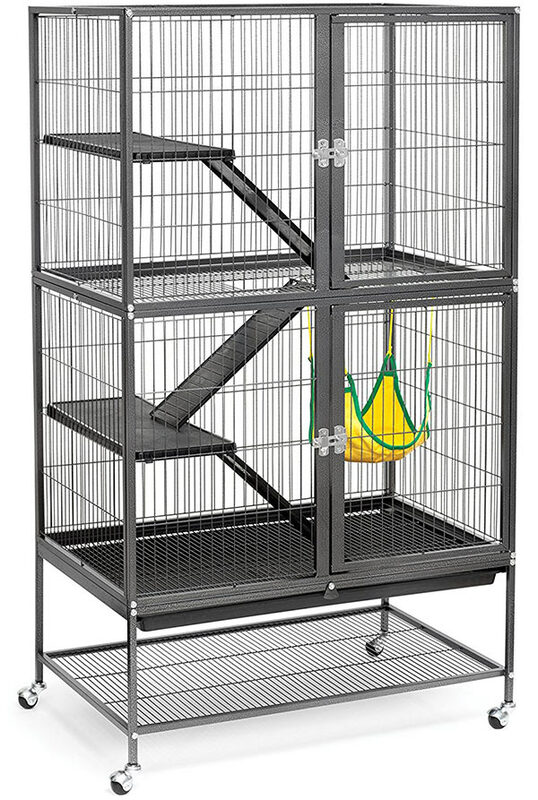 There are many types of rat cages to choose from. The general rule of thumb for rat cage size is at least 2 cubic feet of space per rat. This is the minimum rat cage size. 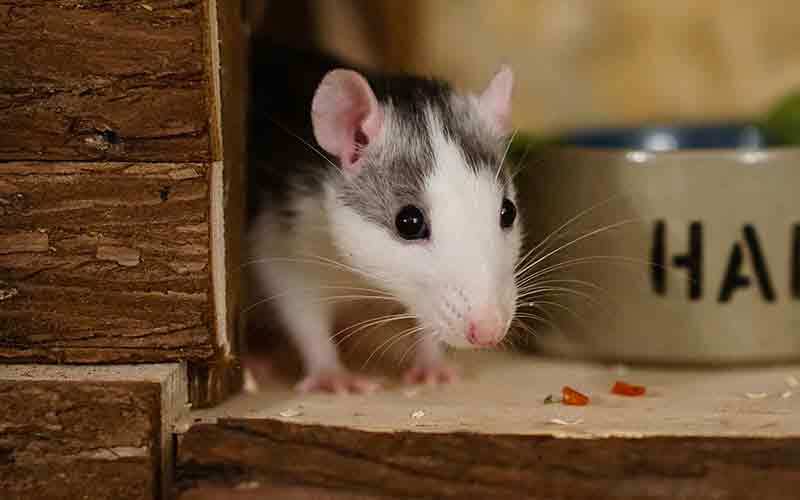 If your pet rat is larger than average or you simply want to give your pet(s) more room to live in, which we recommend, you may choose to buy one with extra space. Since the rat cage is where your rat will be living most of its life, erring on the side of a roomier cage is recommended. It will give them more room to play in and hide and generally make for a happier living situation for your beloved pet. 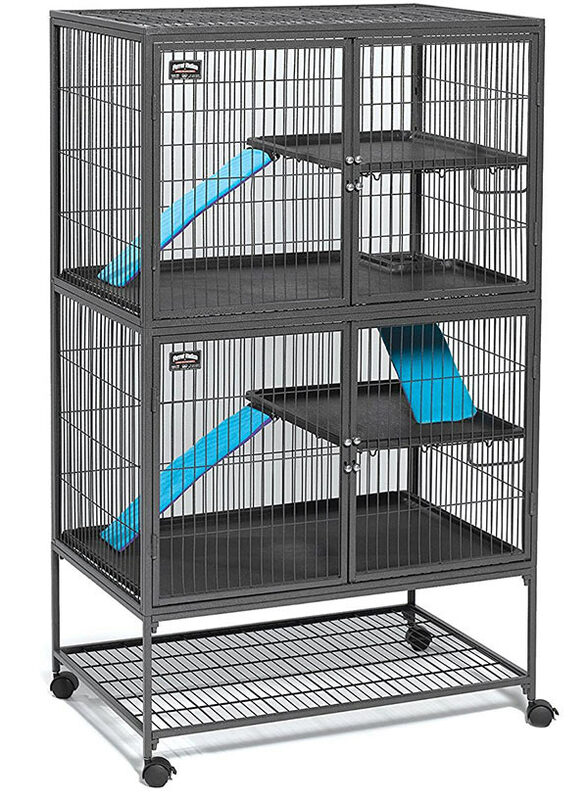 Larger cages also encourage your rat to exercise more, possibly extending the life of your pet by reducing the likelihood of obesity related issues. Also, if you have multiple pet rats, they will get along with each other better if there is ample room for them to spread out and have some private time as needed. Another factor to keep in mind is the cages bar size. It should be ½ inch or narrower to prevent your pet rat(s) from escaping. How big should a rat cage be for one rat? When choosing a rat cage, you will want to purchase one that has proper ventilation. The ones we recommend have wire bars on top and have a plastic or metal pan on the bottom to contain bedding. Although at first glance it may seem like a good idea to get a rat cage with a wire bottom for droppings to go through, this is actually not good for your rats to walk on. Walking on wire all the time may cause swelling and an infection, a problem called bumblefoot, which is certainly not something you want to have happen. An excellent starter home for one rat would be Kaytee My First Home Habitat for Pet Rat. Its dimensions are 25.5’’L x 12.5’’W x 14’’H, which is perfect for one rat. How big should a rat cage be for two rats? Now you may be wondering, what size cage for 2 rats? If you decide to give your rat a companion, and rats do love company, the minimum rat cage size should be at least 4 cubic feet of space. 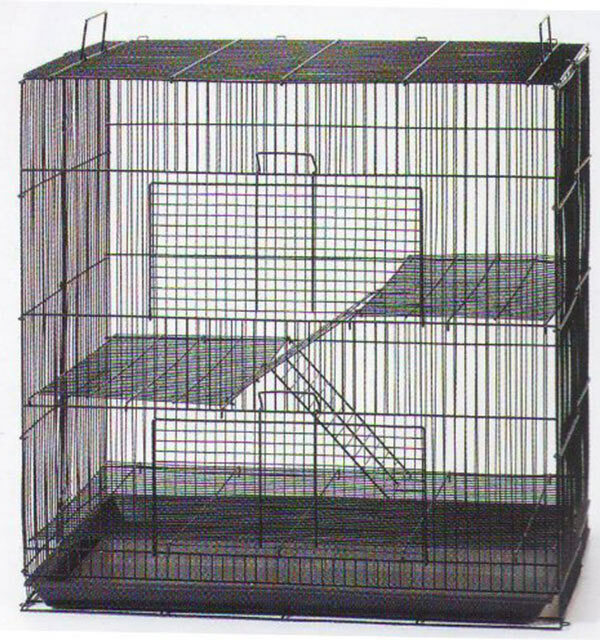 We love 3 Levels Ferret Chinchilla Sugar Glider Rats Animal Cage. The dimensions of it are 24’’L x 16’’D x 24’’ H.
You will find that this is ample space for 2 rats to live in. How big should a rat cage be for three rats. For 3 rats, we happily recommend Prevue Hendryx Black Feisty Ferret Cage. We also recommend Kaytee My First Home Habitat Multi-Level for Exotics. Prevue Hendrex has dimensions of 31’’L x 20’’W x 54’’H, while Kaytee My First Home Habitat is 30.5″L x 18″W x 30″H. The best big rat cage we can recommend is Ferret Nation Ferret Cage. Its dimensions are 36″L x 25″W x 62.5″H. This massive unit can comfortably house a lot of rats if used wisely! 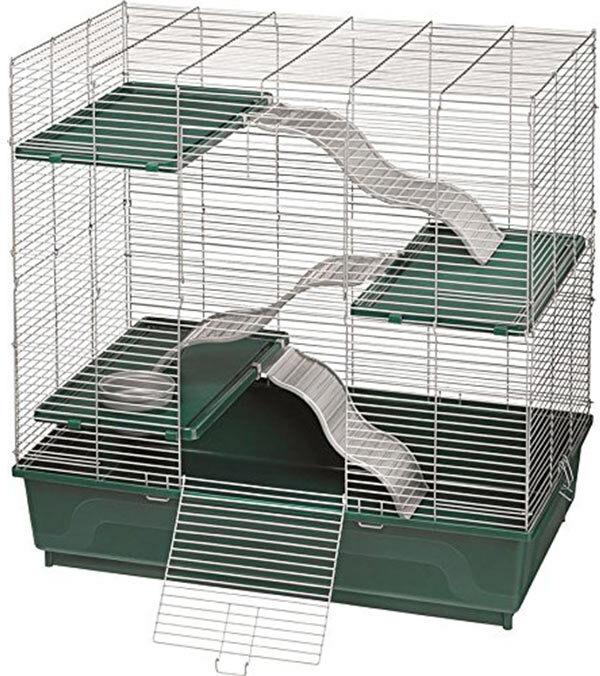 Tall rat cages tend to have multiple levels, which is a great idea because it allows for your rat to jump and climb. 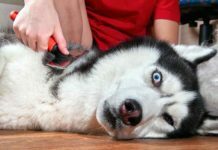 Making your pet happier and healthier. Our favorite tall rat cage is the Critter Nation/Small Animal Cage with Stand. Its dimensions are 36’’L x 24’’W x 63’’H. So, how big should a rat cage be? What’s the best rat cage size? When trying to determine which size rat cage will best suit your needs, it pays to think long term. 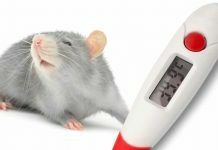 The minimum recommended is 2 cubic feet of space per rat, but we do recommend that you go beyond the minimum to offer your pet rat ample room to lead a good life. When it comes to purchasing the right rat cage size for your pet(s), bigger is better. 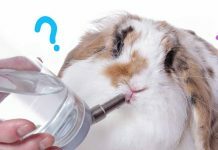 Previous articleCan Guinea Pigs Eat Cauliflower?